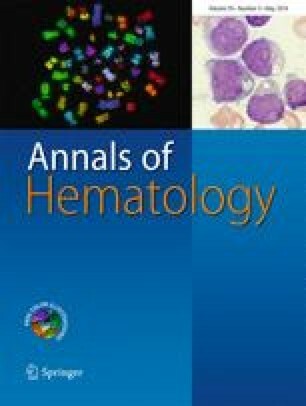 Philadelphia-negative myeloproliferative neoplasms (Ph-negative MPN) comprise a heterogeneous group of chronic hematologic malignancies. The quality of life, morbidity, and mortality of patients with MPN are primarily affected by disease-related symptoms, thromboembolic and hemorrhagic complications, and progression to myelofibrosis and acute leukemia. Major bleeding represents a common and important complication in MPN, and the incidence of such bleeding events will become even more relevant in the future due to the increasing disease prevalence and survival of MPN patients. This review discusses the causes, differential diagnoses, prevention, and management of bleeding episodes in patients with MPN, aiming at defining updated standards of care in these often challenging situations. GB received honoraria and travel grants from Bristol Myers Squibb, Novartis, Sanofi, and Merck. KS is a member of the Advisory Board of Novo Nordisk and a travel support of Bayer. TB received honoraria for participation in satellite symposia and advisory boards and research support from Novartis. AT received research funding, honoraria for consultancy, and travel support from Baxter, Bayer, Biotest, Boehringer Ingelheim, CSL Behring, Leo Pharma, Novo Nordisk, Octapharma, and Pfizer. AM is a consultant of Leo Pharma and Roche, has equity ownership of Bayer and Roche, and a recipient of research funding from Leo Pharma; honoraria and travel grants from Amgen, Aspen Germany, Boehringer Ingelheim, Behring, Bristol-Myers Squibb, GlaxoSmithKline, Leo Pharma, Novartis, and Roche (patents and royalties: not applicable); and membership on an entity’s Board of Directors or advisory committees of Bristol-Myers Squibb and Leo Pharma. HR is a member of Consultancy and Advisory Boards of Aspen, Baxalta, Bayer, Boehringer Ingelheim, Bristol-Myers Squibb, Celgene, Leo-Pharma, Novartis, Pfizer, Sanofi, and Shire. SK a member of Consultancy and Advisory Boards of Ariad, AOP, Baxalta, Bristol-Myers Squibb, CTI, Novartis, Pfizer, and Sanofi. He received research funding (Novartis and Novartis Foundation) and honoraria and travel grants (Ariad, Alexion, AOP, Baxalta, Bristol-Myers Squibb, Celgene, CTI, Novartis, Pfizer, Sanofi, Shire).